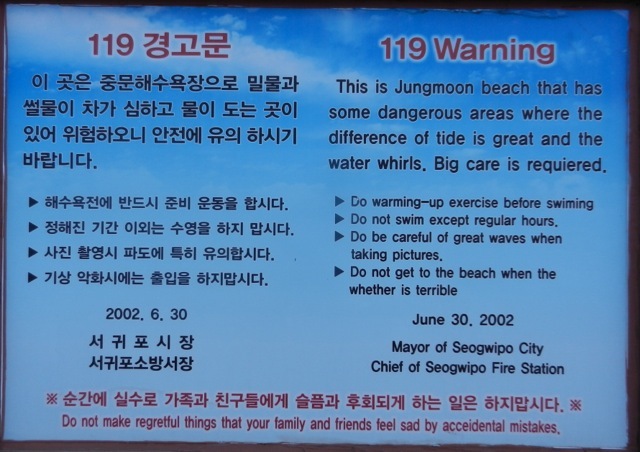 From Jungmoon Beach, Jeju Korea. This was shared by a member of the Marine Mammal Institute here in Newport. All confusing translations aside, check out Oregon State Parks' beach safety page if you plan on enjoying the beach this summer!